The Autumn Statement has identified several new incentives for businesses to run plug-in vehicles, including tax breaks for charging equipment, additional public infrastructure and a new Benefit in Kind system from 2020. The Autumn Statement has marked out new incentives for electric vehicles. Ultra-low emission cars will be exempt from the proposed changes to salary sacrifice taxation, which come into force next April. Following a consultation launched this summer, all other salary sacrifice cars will be subject to the same taxation as cash income. Pensions, pensions advice and cycle to work schemes will also be unchanged. 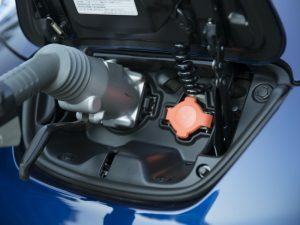 Company car tax will also be revised, to better differentiate between fully and partially electric vehicles, from April 2020. Instead of a single band for vehicles emitting 50g/km CO2 or less, the new system will re-introduce a 2% band for fully electric models, with a sliding scale ranging from 2% to 14% for those emitting between 1g/km and 50g/km, based on how far they can be driven on battery power. The move is aimed at encouraging manufacturers to develop longer-range electric models. Tax incentives have helped make the UK one of Europe’s largest markets for plug-ins, but volume is heavily weighted towards plug-in hybrids. In the first three quarters of this year, the UK was the region’s largest plug-in hybrid market, with a quarter of the total volume registered here. Chancellor Philip Hammond also confirmed additional support for charging infrastructure. An additional £390m will be invested by 2020/21 to support future transportation, including £80m to fund charging points and £150m for low-emission buses and taxis. Effective immediately, with a deadline of March 2019, businesses can claim a 100% first-year allowance for installing their own charging equipment.